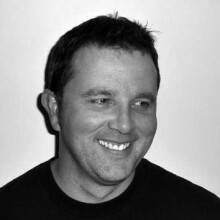 Franz joined Woods Bagot in 2010 when the practice was transitioning to using Revit as their primary delivery platform. In his role as Group Design Technology Specialist he is responsible for the support and development of Building Information Modelling (BIM) for the global studio and major projects. He brings to each project a broad knowledge of technology, and extensive experience with projects across Australia and overseas. He has extended the use of BIM systems across Woods Bagot, and is involved with the development of procedures and standards used by all projects. Franz assists with major projects worldwide in strategic project setup, upskilling of project teams and streamlining workflows. As a past chairperson of REVIC (Revit Users Group of Victoria), co-founder of MelBIM, and usual suspect at the Revit Technology Conference (RTC) and Autodesk University (AU) he is a widely active and recognised contributor within the BIM community.